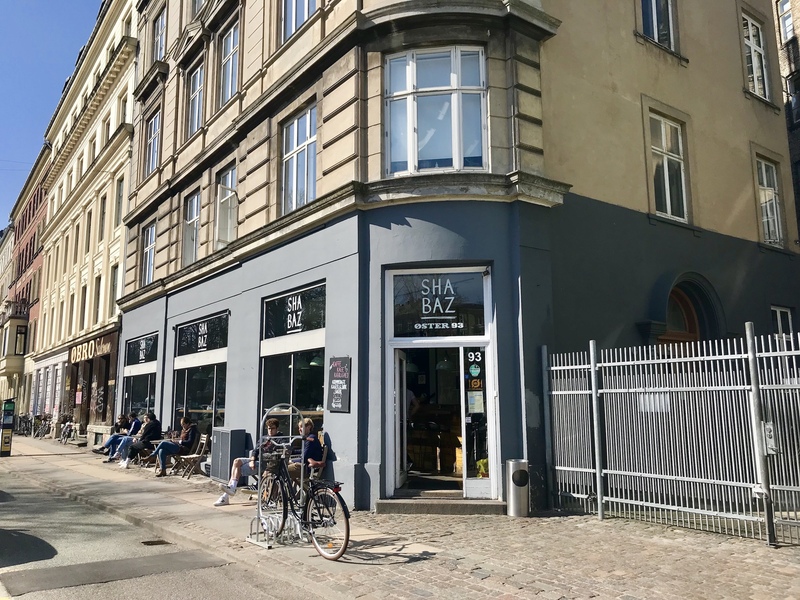 If you’re into coffee, you’re into Copenhagen. Danes can down coffee like it’s going out of fashion, and they’re incredibly serious about the good stuff. 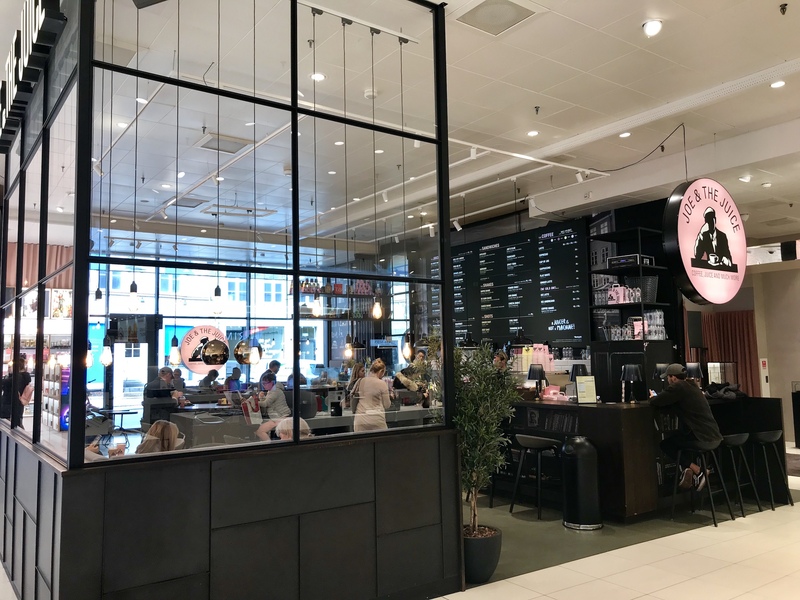 Starbucks has never made great strides here and is rarely encountered, instead there are local coffee chains and bakeries – some of which make the grade and some of which the Danes consider to be more for the tourists. Only one branch at Krystalgade 15, Indre By, but one that’s brilliantly and centrally located adjacent to the ground floor of Copenhagen Main Library – perfect for rainy moments, when retreating into the library’s kid’s section might feel like a good idea, or for grabbing a cup before or after heading up the Rundetårn. 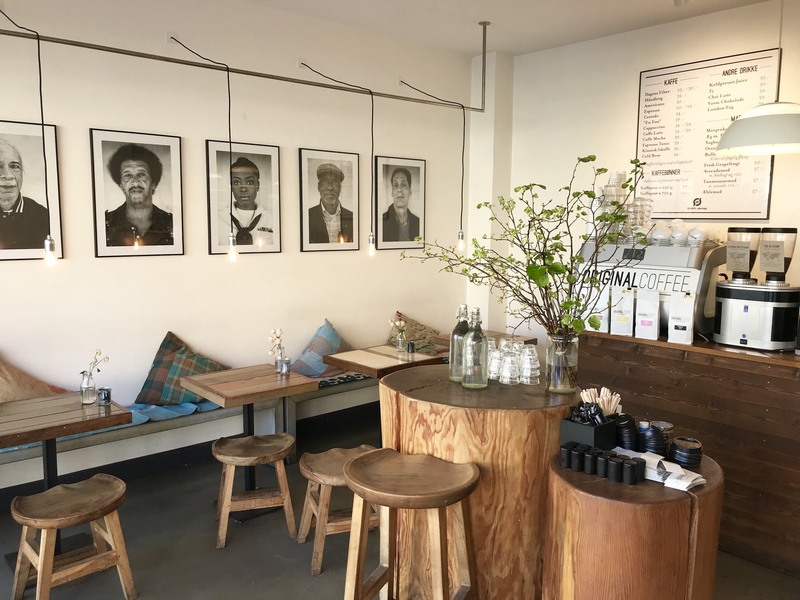 The reviews and word-of-mouth chatter about Democratic’s brews, pastries and croissants are unsurpassed – my own husband once said that the very best flat white he has ever had in this city came from here (and he is FUSSY). Revered and adored by Copenhageners – and for very good reason. Its graphic packaging gets a tick. Its roasts get a tick. Its vibe get a tick. There are relatively few locations, although there are many cafés that serve their coffee, and their coffee only. The original location and still a point of pilgrimage for coffee aficionados. Not only a great place to grab your daily cup, but also a stockist of all CC’s beans in bags to take home with you. 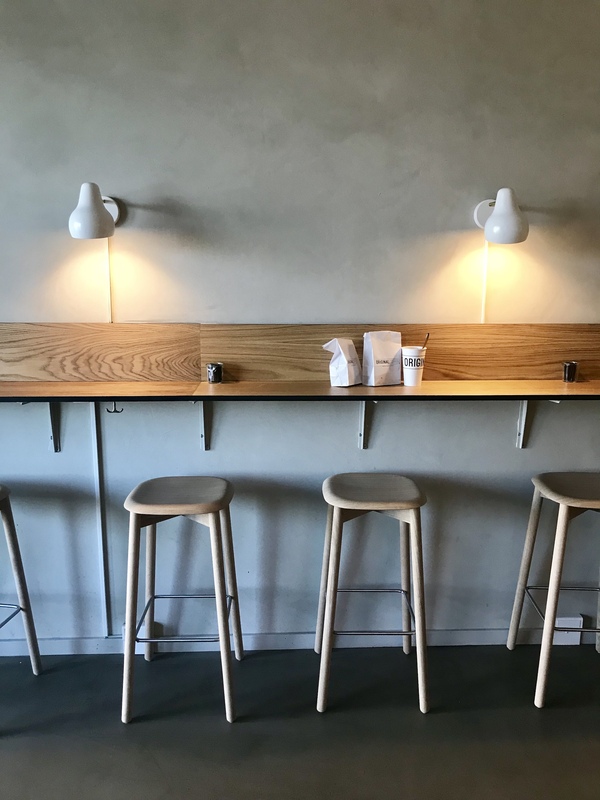 There are bar stools inside and tables out – and it’s across from Israels Plads, the perfect architect-designed urban play space to head to with coffee from here and pastries from Lauras Bakery just across the way. This, the newest location, is part of the noma-and-Copenhagen-Street-Food-conceived open-air street food experience by the harbour, just a hop over Inderhavnsbroen. 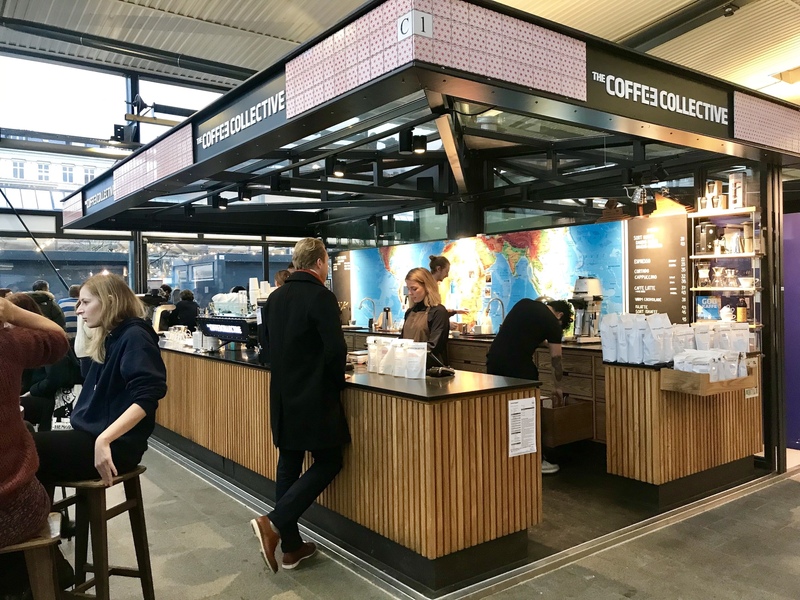 A big, white industrial-style space that incorporates a roastery, in this Frederiksberg location the Collective invites you ‘to go completely coffee nerdy’. 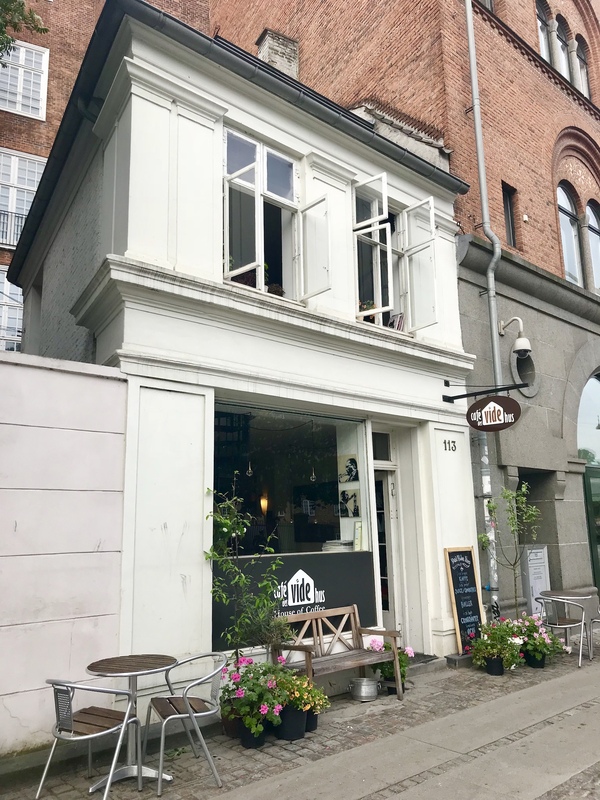 At Gothersgade 113 right opposite Kongens Have and across the street from where the soldiers do their twice-daily marching band thing in their bearskin hats, Claus serves the most delectable cappuccinos (and any other coffee type you care to love) from only Coffee Collective beans. An easy takeout for the park – or if you’re staying you MUST try the yogurt with fruit. It is so beautiful, you’ll almost be sad to eat it. If the simple monochrome branding weren’t enough, Original Coffee has been stamped ‘Byen’s Beste’ (the city’s best) several times. The coffee and the breakfast plates are amazing. 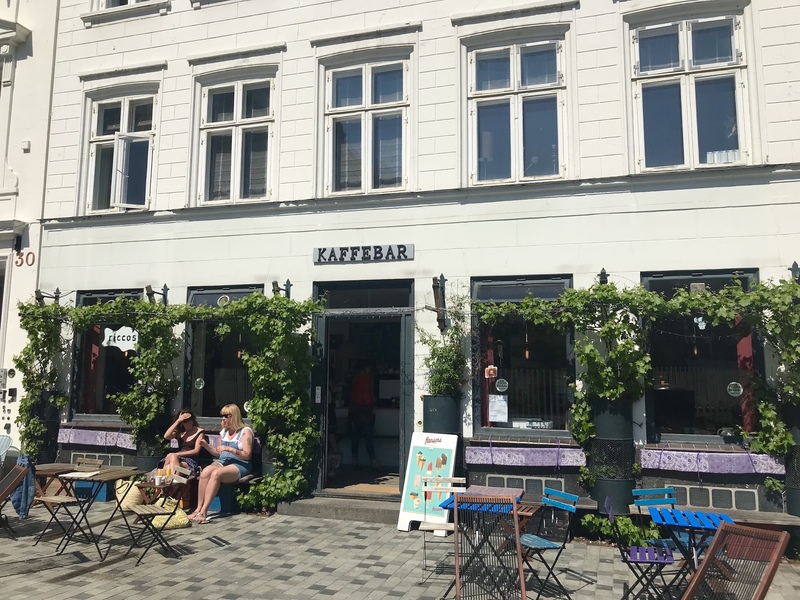 Placed perfectly on one of the smartest streets in Copenhagen, this sits on the block between Nyhavn and Amalienborg Palace and Marmorkirken, and further on, Designmuseum Danmark, making it a perfect stop for a caffeine hit while doing the sights. Up on the top floor of this sleek department store, this makes a welcome view-filled break from the bustle of Strøget. This is a tiny shop at the Østerbro/Trianglen end of this long shopping street, so it’s convenient for Fælledparken if you’re headed there. A spacious, airy shop right by the water, perfect for picking up a cup after a summer morning dip in Nordhavn’s harbour bath, and sitting on the wooden dockside with it. A large shop right by the lake, as a perfect stopping point before or after a wander along the water. 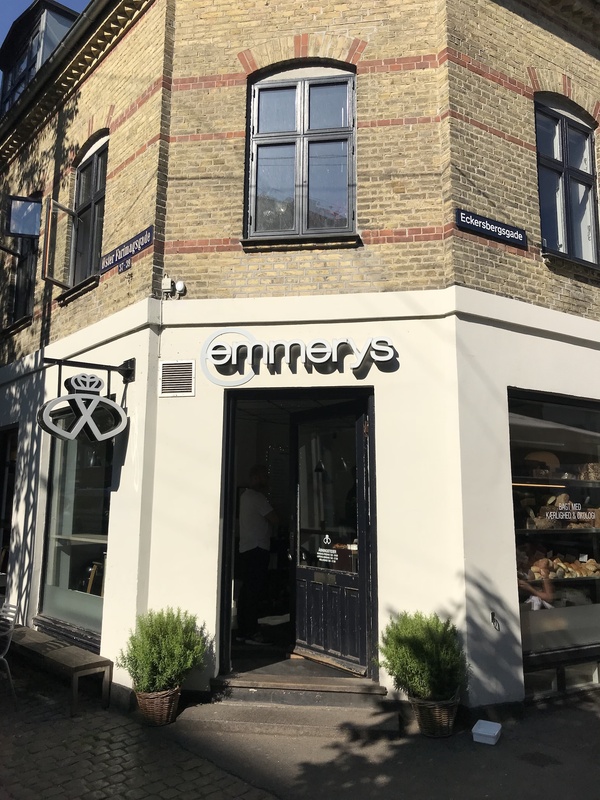 This bakery is found everywhere and was once described to me as a ‘rather worthy’ take on traditional Danish baked treats. Its coffee gets as many thumbs down as up – some Danes think it’s watery, but it depends on what you go for. Skip the huge lattes, and go for Americanos, small caps or cortados. This nice shopping street lies between the Nyboder District and Bredgade, for Design Museum Danmark, Amalienborg Palace and Marmorkirken. It’s also a short hop from the unique, historical green space at Kastellet. Near the tiny urban playground at Hausers Plads, which is an easy place for a leg stretch right in the middle of the city, as well as the city’s best and most loved skate shop, Mills (most kids who are into scooters, skateboards and rollerblades love this store and their 100kr Mills tees are a great souvenir). 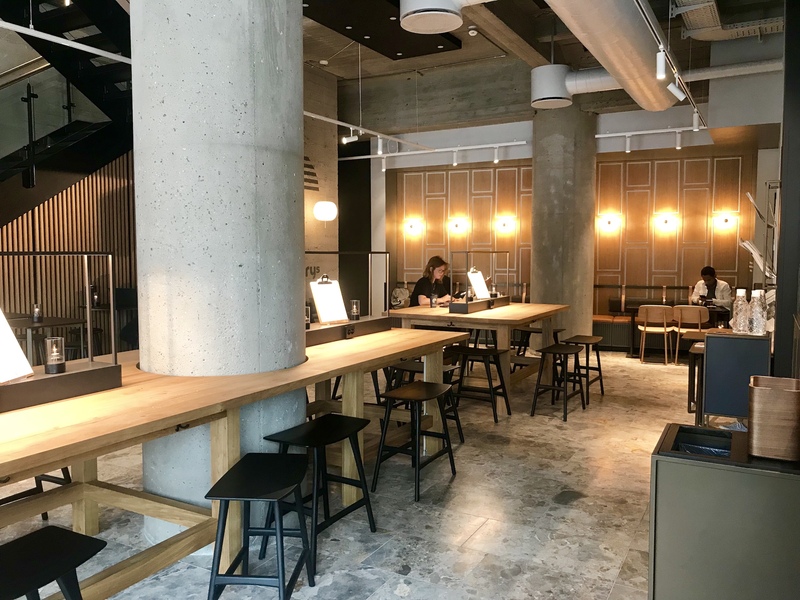 This huge new shop is brilliantly located for the Metro and S-tog stations at Nørreport and features Emmery’s new branding and a calm, cool, industrial-style interior (shown below). One of the more charming stores, marked by a modern white neon-lit version of the traditional bakery-denoting Danish pretzel sign. This store serves the pretty terraced streets of the Kartoffelrekerne, and a block away, the Lakes. Just a little along the street is Øster Farimagsgade Skole’s Green Playground, which at weekends and after 4.30pm-ish, is open for anyone to play in. Close to Tivoli, this is a good one to know about for a refuel before the rides – and that includes sandwiches for lunch if you want to avoid eating in the fun park. Just by Dronning Louises Bro, where hipsters hang on sunny days, this location is good for picking up a cup before a stroll along the Lakes. If you can only accept your coffee served by hunks in a disco, this Danish chain, now found in other European countries, is for you. Seriously! This description nails the experience. 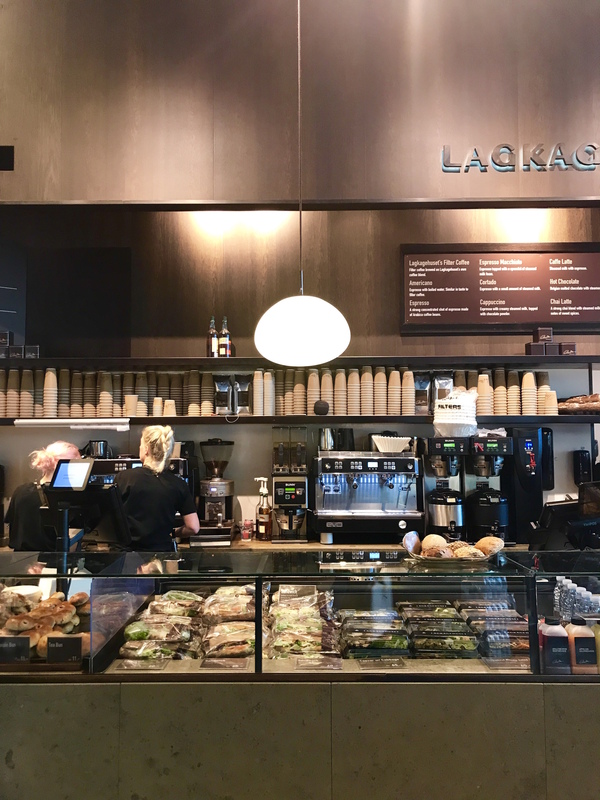 A favourite for pastries, sandwiches, pizza bread and pølsehorn, Lagkagehuset does pretty good coffee too. It’s everywhere, but here are some good locations for sights. There are also several branches at the airport – useful for a last minute souvenir! Right opposite the beautiful star-shaped Kastellet fortification on the harbour’s edge, in the centre of which is a windmill, swans, and a couple of small playgrounds. The original location, where people would go for their ‘chocolate potatoes’ (a cream-filled bun overlaid with marzipan and dusted with chocolate powder, the whole resembling a potato). 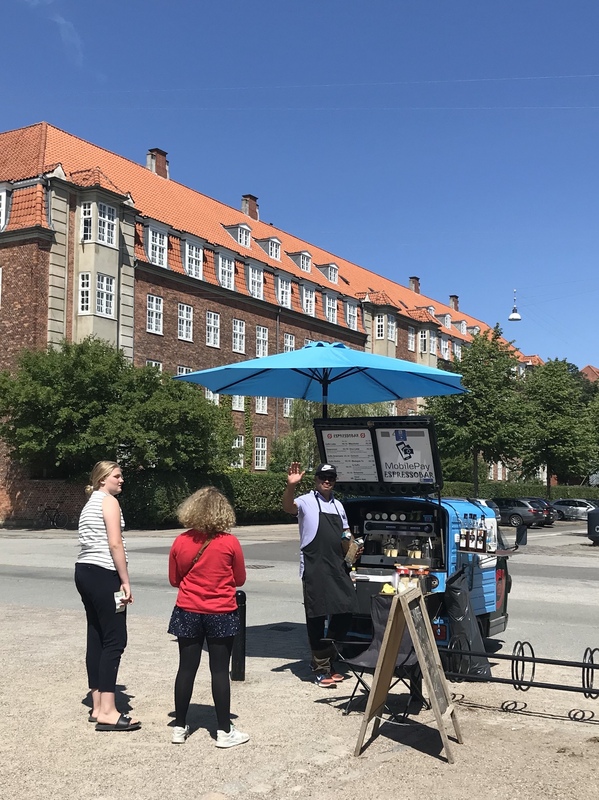 Located within København H (or Central Station), this is a perfect pitstop getting the train to Louisiana or Helsingør, across to Jutland, or further afield to Germany, Sweden and wider Europe. Directly opposite Tivoli, this is a useful location for snacks and caffeine fixes before entering the (lovely) madness. This is a Copenhagen chain that’s found all over the city. Each is different, meaning they feel like a collection of independent stores. Delicious coffee – plus the nicest homemade filled boller (buns), salads, fresh juices and breakfast plates. Handy for Frederiksstaden’s royal sights. In the Latin Quarter, so useful for mooching, and sandwiched between the Rundetårn, Tivoli, Ørestadsparken and Strøget. Great for Østerbro, Øster Farmigsgades Skole, the Kartoffelrækerne, the Lakes and Øster Anlæg park. Useful if you’re staying in the northern part of town. In Frederiksberg C and near Vesterbro, Kødbyen and within reach of København H (or Central Station). All over the city, baristas set up their little coffee-bars-on-wheels in useful spots, such as outside S-tog stations, at beaches, at key harbour-side locations and – most usefully when you’re travelling with kids – at the playground areas of parks. Some of them also sell waffles and other warm sweet snacks.